The management of PT. Bina Putera Sejati is supported by well experienced, innovative and talented professionals who always have been and will continue to be our strongest asset. We believe that our biggest accomplishment shall be the satisfaction of our customers due to our capability to customize our products ranges and services to meet their specific requirements. We are also very proud of the partnerships forged with other companies around the world. This cooperation shall be both mutually beneficial to PT. 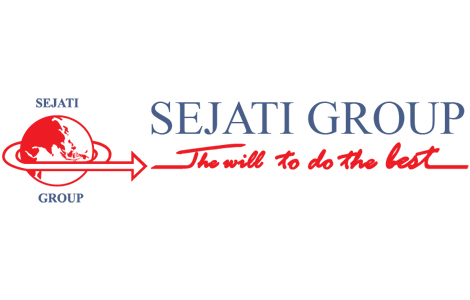 Bina Putera Sejati and the international companies we work with. We will continue our endeavor to develop collaborations in every aspect of our business line. PT. Bina Putera Sejati is experienced as a supplier of equipments to military agencies and private sectors such as : Homeland Security, C4I, Intelligence Systems, Unmanned Aerial Vehicles (UAV), Surveillance Systems, Observation Systems, Advanced electro-optical, Control Solutions, Communication Systems, Weapon Systems, and many other devices according to military standard and specifically designed for military purposes, intelligences, integrated defense solutions and civilian market (Land, Sea and Air). Our main goal shall always strive to satisfy our customers in consistent and continuous manner to respond to future demands. Being the best services of integrated defense and security solution in worldwide through innovative and appropriate technologies.